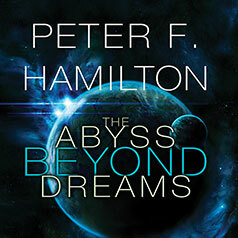 Bestselling science fiction master Peter F. Hamilton is back with the first of a new two-book saga set in his popular Commonwealth universe. Yet these same aliens may hold the key to destroying the threat of the Void forever. As the Fallers' relentless attacks continue, and the fragile human society splinters into civil war, Nigel must uncover the secrets of the Fallers—before he is killed by the very people he has come to save.